Welcome to the Beene/Bean Family Page! This site places emphasis on Phillip and his descendants beginning about 1839 on the plantation of Lemuel Beene near the town of Mantachie in Itawamba County Mississippi. Our ancestors were brought as bondsmen to the English Colony of Virginia before 1740 from either Ghana or Angola. Here you'll find the patriarchal story of our history as direct descendants of Phillip Hill Beene, born in the Commonwealth of Virginia in May 1789 and died in the Bethel Community near Haynesville, Claiborne Parish, Louisiana in September 1879--some twelve hundred miles from the place of his birth. Our patriarch is buried at Bethel Baptist Church Cemetery where seven generations of Beenes are buried. There are many related families that have strong ties to our family. Families such as Agnew, Billingsley, Cooper, Crayton, Crittendon/Critton, Cummings, Evans, Foster, Robinson, Thomas, Turner, Warren, Wyche/White, and Wise to name a few. 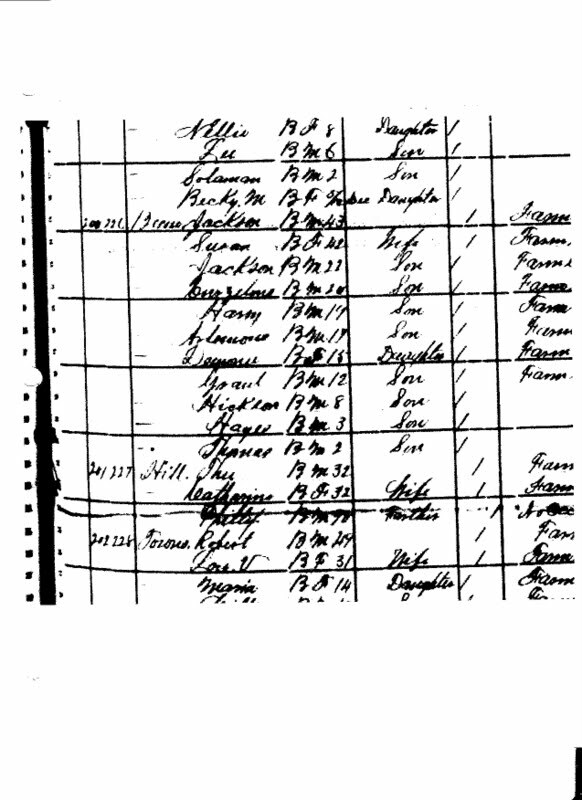 But if you are a visitor who shares either the Beene or Bean surname whose ancestors may have been enslaved in Claiborne Parish Louisiana, Itawamba County Mississippi. Marion County Tennessee, or Anderson and Freestone Counties Texas, read on about our family history to find out if you too could be a 'lost' but 'found' family member. Between the years of 1810 and 1860, a forced migration of our ancestors occurred after having been enslaved in the state of Virginia for over a century. Phillip, as well as nearly 500,000 bondsmen, was removed from the state of Virginia, by way of slave coffels to the Lower South. This migration caused a permanent separation for Phillip Beene. One can understand why this forced removal is referred to as "Passages of Sorrow". Phillip lost his mother, father, grandparents, some of his children and possibly his first wife during this separation. During the years of 1839 through November 1849, Phillip and his wife, Lucy Morgan Beene and their children, were held as bondsmen on the plantation of Lemuel Beene located about six miles northeast of Mantachie in the Twenty-Mile Creek and Tombigbee River area. Upon the death of Lemuel Beene, Phillip and his family were once again separated. That November, the family was equally divided among Lemuel Beene's children according to his Will, as was the customary court practices of slave-holding families. Phillip and Lucy, along with at least twelve of their children and grandchildren, were resettled to Claiborne Parish, Louisiana, near the town of Haynesville in the Tiger Creek and South Middle Fork Bayou area. However, four of Phillip & Lucy Beene's children and grandchildren remained as bondsmen in the Mantachie area with two of Lemuel Beene's children until the end of the Civil War. In the summer of 2008, ten generations of Phillip's descendants, who over centuries of separation reunited to connect in their 4th combined Beene family annual reunion. Truly, all roads connected to Ann Arbor for our combined family reunion in July 2008. Nearly 300 family members were in attendance from twenty-two (22) states, including Washington, D.C. It was truly a Jubilee Reunion for our family. This summer, the 58th annual reunion will be held in Nashville, Tennessee from Friday, July 20th thru Sunday, July 22nd, 2018. See you there! Musical selections in order of appearance: THANK YOU performed by the Quiet Time Players from their Sunday Morning Jam (2005) Alliant Music Recording and? RESOLUTION? provided by musician/songwriter George Fontenette from the BET-aired film Blackout?(2008). 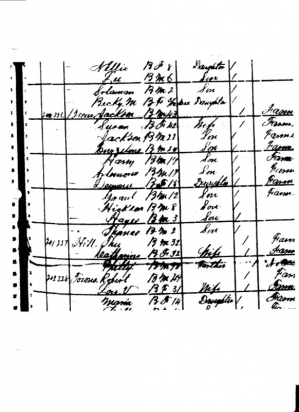 1880 Census of Claiborne Parish, LA listing Phillip Beene and his son, Jackson. A line is drawn through his name which means that he died between the first and second enumeration of the census.